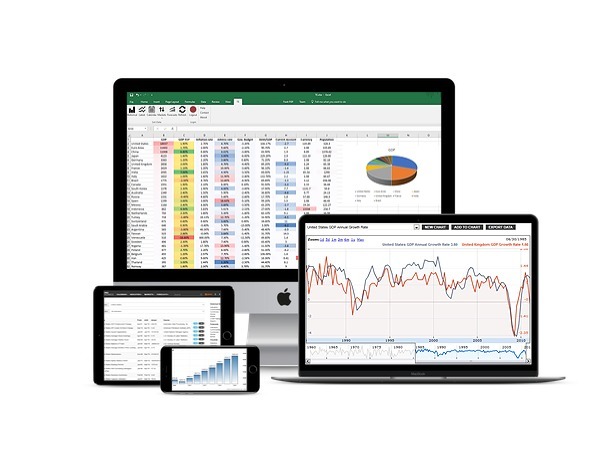 Trading Economics provides its members with access to more than 20 million indicators for 196 countries plus historical/delayed/live quotes for exchange rates, stocks, indexes, bonds and commodity prices. Signup to view, compare data and download data in a easy to use web interface, using our excel addin or our API. Access our data everywhere online or offline in your computer, tablet or smartphone. Our data is based on official sources and our facts are constantly updated and checked for accuracy. Exchange rates, stocks, indexes, bonds and commodity prices. Historical/delayed/live quotes. Development indicators from officially-recognized international sources. United Nations International Trade Statistics Database for more than 170 countries. To view a sample list of indicators we have available please click here. Python, R and others are integrated with our data.